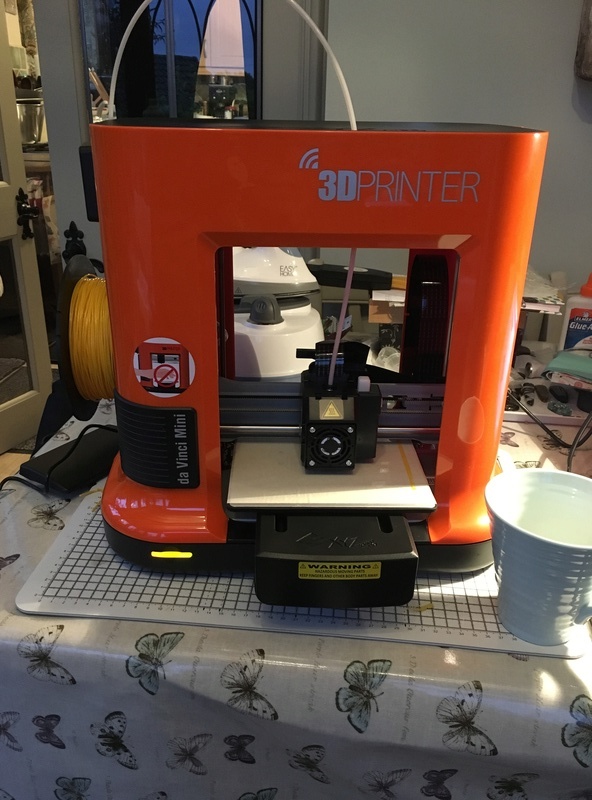 Treated myself today and got a 3D printer. Spent this sometime reading manual and watching videos on YouTube. Came in a big box which the cats will love. Like normally printers that come with half filled ink cartridges this came with a half filled reel of PLA filament. This to my disappointment was yellow but I'm sure it will paint over. Got some white on order. All the software has been downloaded and installed on laptop. It recommends that the first print is one of there demo prints so I've picked a candle holder taking 1 hour to print. At the moment all seems to be going fine. Hopefully you'll have a good time at it, many don't with constant issues with their prints, from infill issues, to layer qualitys to layers delaminating. Buy that said I love the idea of these Machines and have played about with some of the softwares needed to get these running. 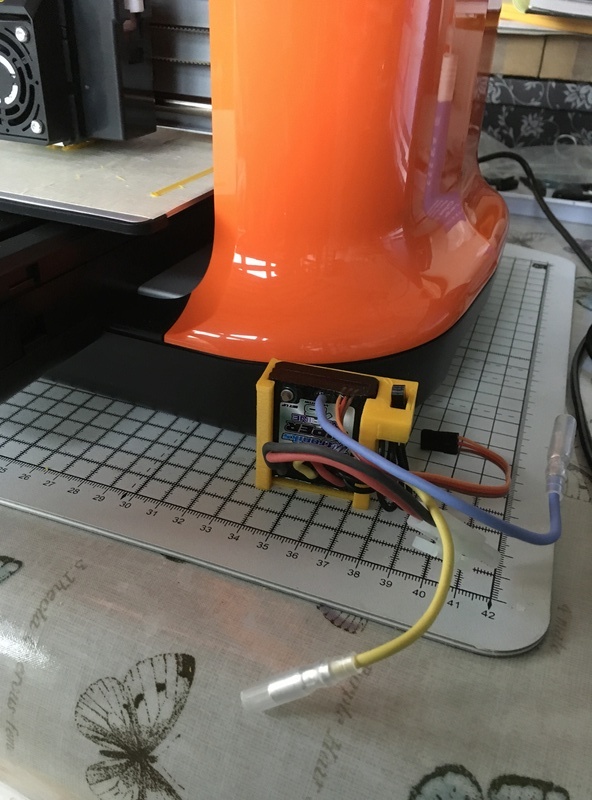 First print is a holder for speed controller. Came out a little bit on the tight side but nothing file couldn't sort out. I have made changes to to program and made a copy of the opposite hand. Missed the holes for the screws that hold the switch will put them in by hand. All in all I'm happy with the outcome. The software is a bit tricky. It's all measured with xyz hence me drilling holes for switch but in time i will get use to this.